The CPC Crushing Processing GmbH is a specialist company focused on crushers for coals and minerals, as well as machines for several other industries. 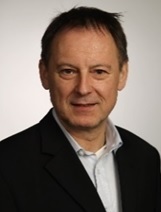 CPC can draw on lots of experience, since it was founded by Bruno Goetz, former Technical Director of Aubema GmbH. When the former Aubema facility was closed down and it’s production moved to China in 2014, Bruno Goetz decided to incorporate his own Company, the CPC Crushing Processing GmbH, in order to keep satisfying customer demands on high quality “Made in Germany” Crushing Machines and Processing Plants. Since incorporation, CPC has experienced continous growth and increase of sales. At present, CPC has satisfied customers in several countries all around the globe.